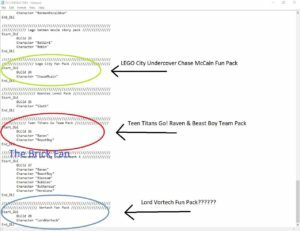 TheBrickFan was sent a look at some datamined information in the new LEGO Dimensions update. I’m very skeptical regarding the legitimacy of the actual file itself, although nothing in the file is earth shattering. Can the file be legitimate? Absolutely. Would it be strange that the programmer couldn’t spell McCain properly? Maybe. Again, nothing earth-shattering is revealed here. 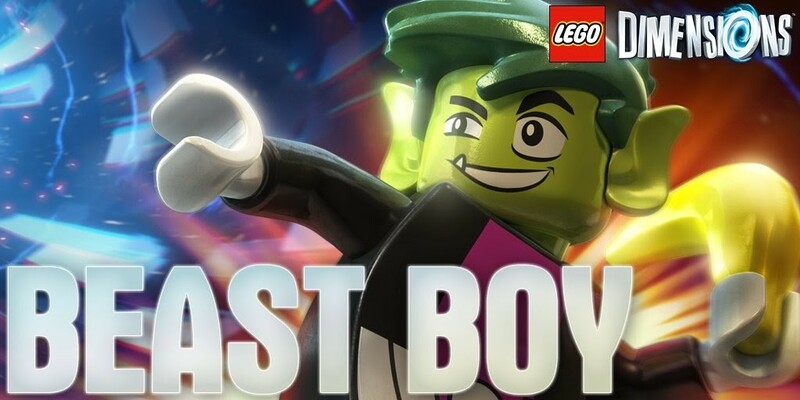 We’ve either known officially, or could logically conclude nearly everything in this update. 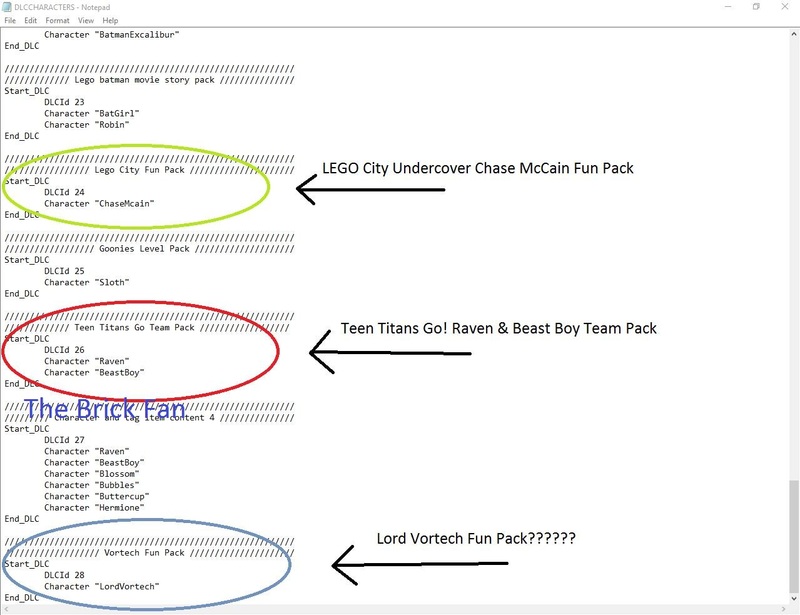 Obviously the most curious item of note ins the Lord Vortech Fun Pack. The last we hear was that he wasn’t “done yet”. So that could still be coming down the pipeline as well!